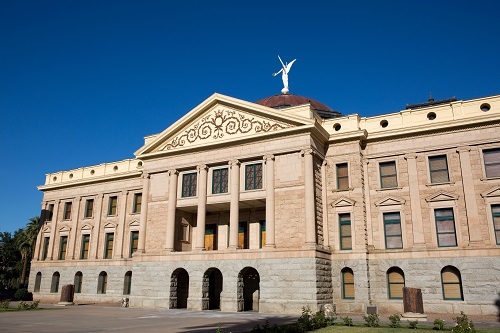 Originally the Arizona State Capitol building, it is now a museum after being replaced by an executive tower building in Phoenix, Arizona. Arguably the most popular gallery in the area, the Tucson Museum of Art offers a little something for everyone from neighborhood tours to hands-on art projects for kids. The first Thursday and second Sunday of every month bring free admission with a few exceptions. Otherwise, admission is between $7 and 12. See website for details. Don’t miss out on Poetic Minimalism available now through July 23, 2017. This museum, run by the Arizona Historical Society, features exhibits with a focus on mining, transportation, and relics from the 1800s. It closes at 4pm every day with the exception of Fridays when the museum extends its hours until 8pm. Be sure to visit “Wall of Faces: A Grateful Nation Thanks and Honors You”—an exhibit honoring veterans of the Vietnam war now through July 4, 2017. What makes the Jewish History Museum unique is its individual collections from Holocaust survivors who settled in southern Arizona. Their stories offer a solemn yet necessary observation of the human experience both highly individualized from personal perspective and crafted as a cultural narrative. Peruse current collections and exhibits and plan your visit around the Jewish History Museum’s free admission opportunities. Created to honor the courage and sacrifice of World War II’s 390th Bombardment Group, the Memorial Museum boasts one of the only restored B-17s in the country. There may be no greater tribute to the 390th division than Bill Pennebaker himself, a veteran who developed and tested high altitude bombing tactics. Before his passing in 2016, Pennebaker wanted nothing more than to hold a personally-annotated WWII book sale to benefit the museum. Visit 6000 East Valenica Road where entry to the 390th Memorial Museum is free with paid admission to the Pima Air and Space Museum. For a tour of the businesses and homes that flourished in colonial-era Tucson, stop by the Downtown History Museum. The museum’s main attractions are its tours (self-guided or paid), an interactive “I Am Tucson” exhibit and John Dillinger features. Admission is always free though donations are encouraged. Don’t forget to stop by the gift shop on your way out to browse through historic books, southwestern style jewelry, and children’s toys. New hours of operation take effect April 10th from 10am to 4pm Wednesday through Friday. For an inexpensive family outing or unique date idea, pick an exhibit that interests you and book a tour. To complete your historic experience, grab breakfast or lunch at one of Tucson’s oldest restaurants like El Charro Café. Visiting from out of town? Stay at the Historic Hotel Congress. If there’s one thing to be said for Tucson, it’s a city that celebrates its past.